Economics or cultural replacement matter little to a voice of Canada’s political establishment; they just can’t replace the European founding/settler people of this country fast enough”. Alexander, 48, was Canada’as Ambassador to Afghanistan before he entered politics. He lost his seat in the last election. This is elite nonsense. With 7 per cent official unemployment — real figures likely twice that — just what are the present cohort of about 305,000 immigrants, let alone a planned boost to 400,000, going to do: they will either get a job and take it from a Canadian (Canada loses) or they will not get a job and have to be supported on welfare and in public housing (again, Canada loses). Far from “growing the economy”, except that of the immigration industry, immigration is a huge drain on the economy. Professor Herb Grubel in a 2011 study for the Fraser Institute pointed out that the cohort of immigrants,. mostly from the Third World, from 1980 on cost taxpayers well over $25-billion annually. That’s the tax benefits they consume less the taxes they pay — a net deficit. Massive immigration to “replace retiring baby boomers”? Why not wait until there actually is full employment or a labour shortage. Why import people for jobs that may never be there. Whatever else establishment Alexander may be he is no conservative in economics, but, apparently, one of his “core values” — how we hate this cliche — is the Speeded up replacemeNt of his OWN people. In a saner age he would be dismissed as a comical loon! Superficially, a coast to coast motor tour to listen to the people sounds like a good populist idea. However, when he actually was in power, Alexander had no time for immigration critics. His staff pleaded that he was very busy. In the Spring and Summer of 2014, Immigration Watch Canada repeatedly contacted him for a meeting to discuss immigration levels. He was always too busy. Finally, on August 25, IWC and the Canada First Immigration Reform Committee held a protest outside his constituency office. A horde of Durham Region Police showed up to protect the minister’s staff and the office abruptly closed. - About 8 to10 members of the Durham Police showed up about an hour before our protest began and ordered us to remain about 100 feet away from the front door of Immigration Minister Chris Alexander’s office. According to the police, Alexander’s office sat on “private property”. To offset that disadvantage, we used a high powered megaphone to broadcast our message to any office staff who were listening. We also used a large banner which was visible to any staff member who was watching our protest. - While walking to Alexander’s office along the street, we displayed our 10-foot long banner which had the message “SAVE CANADA. CUT IMMIGRATION” . Many cars passed by and drivers both honked their horns in approval and gave us a “Thumbs Up” in support of our message. - Someone had alerted Alexander’s office staff about our peaceful protest. Staff had locked the front door of Alexander’s office. While assembled, we noticed several constituents trying to get into Alexander’s office but they could not open the door. - For at least 6 months prior to our protest, we had requested Alexander’s Department of Citizenship and Immigration to provide evidence which would justify Canada’s immigration intake, an average of 250,000 per year for the past 23 years. Alexander’s office staff claimed such evidence existed, and that they would send it. However, they have never sent us anything. - In July, Immigration Watch Canada sent registered letters to both Alexander’s constituency office in Ajax and his office in Ottawa. In the letters, we requested an August meeting with him to discuss evidence he had for Canada’s immigration intake. About a week later, we received a call from a member of his staff who stated that Alexander would be busy ‘travelling in August” and therefore would not be available. We told the staff member that his response sounded like a very lame excuse. - The numerous postings below that Alexander has made on his Facebook Page clearly show that Alexander’s excuse was indeed “lame”. The “travelling” Alexander did in August and July was to meet many ethnic groups in his area and in other areas nearby. To us, this clearly demonstrates that Alexander believes that the immigration-related views of themajority of Canadians don’t count and that in his view, ethnic groups and the immigration lobby are the only ‘stakeholders” in Canada’s immigration process. To put it mildly, Alexander and other government representatives need a severe jolt to wake them up. This month I visited New Delhi and Mumbai to promote the economic and cultural ties between Canada and India. Canada and India enjoy a strong bilateral relationship that is based on shared democratic values and mutual economic interests. (11 photos) Canada’s Citizenship and Immigration Minister Chris Alexander announces the launch of the CAN+ program, which will result in more efficient processing for Indian visitors coming to Canada: http://bit.ly/1kztMTY CAN+ is open to Indian nationals who have travelled to Canada or the United States of America within the last 10 years. -A large number of people called Alexander’s office both while we were assembled and after the assembly concluded. They requested any Government of Canada report which provided (1) credible evidence that justified mass immigration of 250,000 per year and (2) evidence that this intake is benefiting Canadian society. They also stated that they stood in support of the peaceful assembly hosted by Immigration Watch Canada ! The staff in Alexander’s office did not pick up the phone to answer most calls. Instead, many callers were transferred to Alexander’s voice mail. This treatment of legitimate complaints by thoughtful Canadians is typical of the hypocrisy in Canada’s immigration system : Immigration Ministers and many of Canada’s politicians continue to grovel at the feet of immigrant voters. Yet they treat Canada’s majority population with contempt. In the past, Alexander’s office staff have been anything but co-operative and knowledgeable about the immigration issue. Instead of working diligently to provide callers with requested information and noting their concerns on current immigration policies, they simply told callers such things as “We are a local MP’s office and have nothing to do with immigration.” or “We do not talk about immigration-related issues here !!! Your complaints need to be directed to CIC. You can also email them to the Immigration Minister’s office in Ottawa”. As you can see, Alexander, his government and Parliament continue to demonstrate that they have no intention of protecting Canadians and Canada. They could be introducing measures to dramatically cut immigration, but Alexander’s Conservative and all other parties continue to grovel for their share of the immigrant vote. Jonathan Tepperman, opines in an article in Wall Street Journal, How Canada Got Immigration Right (September 2016), that Trump and the US generally “could learn” from how Canada has been able to produce the happiest population in the world by importing more than a quarter million immigrants every year since the early 1980s. Canadians are so happy, he claims, that they want to keep this level of immigration for an indefinite future, if not increase it — a wish the current liberal government has granted by promising to increase immigration rates to 337,000 a year by 2018. Apparently, White Canadians in particular are enthralled by the fact that “more than 20% of Canada’s inhabitants are now foreign-born — almost twice the proportion of residents of Sweden, Germany or the U.S.” They cannot wait till the day when most Canadians will no longer be White, Anglo and Quebecois, but a land occupied mainly by Asians, Muslims, and Africans. Tepperman happily informs us that idealism has not been the only motivation behind this longing for a harmonious multicoloured future in which the “racist past” of White Canadians will be no more. Canadians have shown themselves to be a most “pragmatic” people in coming to terms with the “necessity” of finding new sources of immigrant labour once sources began to dry up in Europe in the 1950s. Not long ago they were a xenophobic people preferring European migrants but their pragmatic inclinations prevailed under the leadership of liberal politicians who devised a highly impressive system of immigrant selection based on a points system wherein applicants for residency were selected on their educational, linguistic and labour skills and their overall suitability in meeting Canada’s economic needs. Moreover the multiculturalism Trudeau and subsequent governments devised, with every political party on board, involved a two way street in which immigrants were allowed to retain those elements of their culture that would contribute to Canada’s pluralism while encouraging them to integrate to a common modern liberal society. Picking most immigrants based on their ability to make material contributions began paying dividends that benefited everyone. Indeed, the system has produced one of the most successful immigrant populations in the world. According to the OECD, Canadian immigrants are better educated than any other country’s foreign-born population (53% of them enter Canada with college degrees, compared with 39% in the U.S.). Their employment rate is among the highest in the developed world, and without them, Canada’s workforce would be shrinking and aging. A major flaw in discussions about the merits and demerits of Canada’s model of multiculturalism is the naive supposition that this model is all about tolerance and openness. It is not. It cannot be stated any other way: NO DISSENT IS ALLOWED IN CANADA AGAINST THIS MODEL OF IMMIGRANT MULTICULTURALISM. The entire society has been structured to make this model work, all the educational and government institutions, media and businesses, are dedicated to making it successful. Therefore, almost all the reports, studies, dissertations, books, and articles produced about this model are biased in their determination to make the system work, show that it is working, and that it can be improved. Whenever problems are identified, they are about the lack of implementation of multiculturalism, obstacles to the integration of immigrants due to “racist attitudes,” “discrimination by White employers” or lack of resources to support newcomers. While some of these difficulties are identified as “problems” in the model, the preferred disposition is to framed them as “challenges” that can be overcome with further advancement of the model. It is also the case that the method of polling about this model is flawed and does not give a true picture of the actual feelings of many Canadians for the simple reason that Eurocanadians have been brainwashed from the moment they are born to think of multiculturalism as Canada’s identity. They have been compelled to think they must accept immigration, and that if they don’t it is because of “xenophobic fears among Whites.” While positive feelings by immigrants towards multiculti Canada are deemed to be evidence of successful integration, negative feelings by members of the host culture are deemed to be “xenophobic” and thus automatically disqualified as evidence that can be used to show that immigration is not working. The evidence that counts is of those Canadians who have “progressively” come to accept a multicultural Canada. Citizens with a strong sense of European identity are automatically categorized as “intolerant” and consequently ostracised. Tepperman notes that a majority of Canadians in the 1960s, 67 percent, opposed any increase in immigration. Yet it does not occur to him to ask why then was mass immigration imposed upon this population? The fact is that even supporters of this policy agree that immigrant multiculturalism has proceededfor the most part by way of non-transparent regulations, executive directives, and administrative discretion rather than by legislative action and popular demand. Keep in mind that almost 100 percent of the academics in Canada are committed to research intended to the success of this model, “improving” it but never challenging its basic assumptions. Our side has hardly any academics with the means or with the proper political atmosphere to conduct research which focuses on the flaws of the model, and less so on the flaws of the ideology guiding it. On the surface, looking at data from Citizenship and Immigration Canada, it would seem that, since the mid-90s, that the points system has been a success, in that economic immigrants have constituted around 60 percent of the total, whereas family-class immigrants have constituted around a third of the intake, and refugee inflows about 10-15 percent. It would appear that Canada’s immigration policy has been relatively successful in bringing “quality” immigrants. But included in the “economic class” are also the spouses and children of the principal economic applicants. For example, it was estimated that in 2005 only 39% of the immigrants classified under the “economic class” were principal applicants selected according to their language skills, level of education, and work experience. As a percentage of all the immigrants granted permanent residency in 2005, only 19.5% were directly selected on the basis of their skills and education. Moreover, the so-called “highly trained immigrants” have come primarily from countries with educational systems and training standards that are either unfamiliar or lower than Canadian standards. Many have arrived with weak skills in English and/or French, and have not exhibited the credentials, education, and work experience required in high-level Canadian jobs. A survey carried out in 2003 by The International Adult Literacy and Skills Survey on some 18,000 individuals (of whom 3,700 were immigrants) showed that the cognitive skill distribution of immigrants was much lower on average than that of Canadian born individuals. Immigrants from countries in Africa, Asia, Caribbean, and Latin America obtained lower scores on cognitive skills and tests. Immigrants have not found jobs as quickly as anticipated. Labor market studies in 2006-07, for example, indicate that immigrants who had arrived in the previous five years were less likely to be actively employed, and that higher percentages were unemployed compared to Canadian born workers. The anticipation that average Canadians would benefit from mass immigration, with a higher proportion being “economic” immigrants, has proven false. It is well-established that Canadian workers’ purchasing power remained flat from 1980 to 2005. According to Statistics, Canada’s analysis of the 2006 census, the median earnings of Canadians (in inflation-adjusted 2005 dollars) have increased by 0.1% since 1980. Not only that, but the earnings of the poorest fifth fell dramatically in that time, by 20.6%, while the top 20% of earners saw their incomes rise by 16.4%. There is no such thing as a labor shortage in Canada. There is an unwillingness to work for undercut wages due to cheap immigrant labor and imported contract labor. Canadian workers are proud of their political and economic gains against the harsh working conditions of the past, serfdom, peonage, or coolie labor. They do not wish to see an importation of these low-wage, anti-working class values, from the non-Western world just to keep the profits of global corporations high. One has to consider as well the many elderly relatives of immigrants who use social services without ever having paid for those services during their working lives. Many immigrants hold Canadian citizenship but work abroad, paying no taxes in Canada, and only returning to Canada to use expensive government services. About 11 percent of immigrants have citizenship in Canada and one other country. It has been estimated that 8 percent of Canadian citizens, including those with dual citizenship, or 2.7 million people, live outside Canada. I must add I have always been perplexed by the celebration of a model predicated on a system designed to entice the most educated individuals from the poorer nations where they are in higher need. This is known as “braindrain,” which is a form of imperialism, which goes to show how immoral and hypocritical the Canadian “humane” model of mass immigration really is; on the one hand, calling upon Canadians to cherish other cultures, while, on the other, promoting policies that weaken the economic well-being of these cultures. On the question of integration: on the surface, it appear that immigrants are integrating into Canada insofar as only a very small number of them have engaged in terrorist activities, or illiberal practices posing an immediate threat to our liberal values. Immigrants are acquiring citizenship, learning one of the official languages, getting involved in Canadian politics, with some intermarrying outside their ethnic group, getting jobs, and participating in Canada’s educational institutions. But these facts do not say much; they merely show that the majority of immigrants are integrating into a Canada that is officially defined as a multicultural place committed to mass immigration, and in which the traditional Anglo culture is no longer accepted as the official culture and in which Eurocanadians must accept their reduction to a minority and be forced to compete with skilled workers from the rest of the world as well as with students for university positions. As it is, the evidence offered by proponents in these matters is flimsy and intrinsically subjective, based solely on the answers immigrants have offered in surveys created by proponents of immigrant multiculturalism. They say there is little evidence of “entrenched racial concentration in poor ghettos,” yet studies do show that Chinese migrants “tend to settle in established Chinese neighbourhoods.” In Richmond, BC, where six out of ten residents are new immigrants, and where half do not speak English in their homes, Chinese-language signs, unaccompanied by English, can be seen everywhere, with multiple incidents of Canadians protesting about the lack of visible English signs. 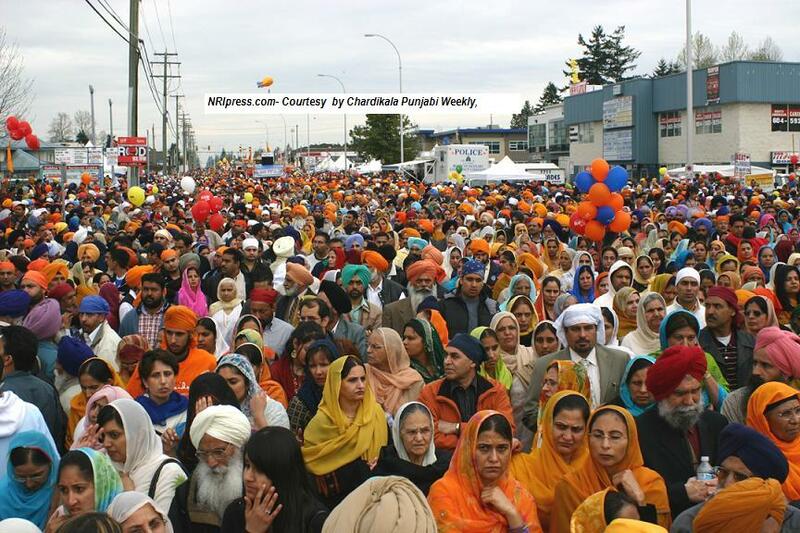 In 1981, Canada had only six neighbourhoods with ethnic enclaves…Now, that number has mushroomed to more than 260. The entire multicultural system in Canada, the policies, hiring practices, grants, media announcements, education, is set up for the advancement of “diversity” and for the benefit of non-European immigrants, which means that many Eurocanadians also stand to benefit as advocates and employees of diversity, since the system offers many economic incentives, jobs within a massive bureaucracy dedicated to the integration of immigrants and the diversification of Canada’s entire society. Diversity ideologues go around parading as upholders of the highest moral principles in human history as they sell-out their heritage, celebrate the culture of foreigners, distort the history of Canada, living easily thanks to the hard labour of past Eurocanadians nation builders. But patriotic Canadians are unsettled by this fake morality, and do wonder whether a model that envisions their reduction to a minority, and that requires them to put down their own heritage, and that even requires them to downplay their foundational role in the creation of Canada, in the name of a fabricated history that would have this nation created by “diverse races,” is as “spectacular” as its supporters claimed it to be. The enabling ideology of “White privilege” and the imposition of “White guilt” have neutralized and scuppered White responses to the genocide-on–installment plan that is being carried out against them everywhere, but nowhere so obviously as in the USA and South Africa. Even as the genocide gathers pace, anyone who complains or who even questions the ideology that supports it faces the full force of the governing tyranny that misrules us. 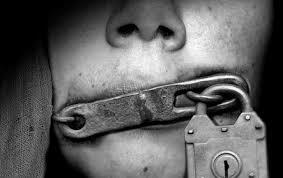 To speak out against the genocide leads to ostracism, persecution, violence and imprisonment. To speak out or not to speak out? Not to speak out against the genocide could one day lead us into a court of law to be faced with the charge of being complicit in genocide. For a man of conscience, for a man of honour, for a man of courage there is only once option and campaigner, talk show host, writer, and free speech advocate (who has defended Ernst Zundel, David Irving and Arthur Topham), and free speech advocate Paul Fromm is just such a man.